I’ve spent the last few weeks trying to write a report on gin. I think sometimes you think about whether you’re meant to be enjoying stuff or just getting it done. That might sound a bit daft, as surely doing both is the dream ticket? Well unfortunately for me if I get interested in something, then I fly off topic pretty quick. So writing a report of what’s happening in the gin market at the minute is incredibly fun, but sending me off in all kinds of tangents! First up is the history of gin. I love history in general. I love hearing about it, reading about it, exploring, just everything. When I was a kid, and now to an extent, I couldn’t write an essay to save my sweet life so I never pursued it academically or anything. Oh, and I didn’t exactly take to reading books. There was always way too much cricket and drums to be played. But I’m still fascinated by it all, so when I get to research gin’s history across Europe and the world, with 1000 years to have a go at? I’ve had a shocker. I’m reading book after book and loving it. At some point though I’ve just got to write something down! But moving on to today’s gin markets has thrown up so many new things that I just didn’t have a clue was going on in the world! In the picture up top are a couple of bottles of Columbian, cask-aged gin. Eh? Until about 12 months ago I was just a Gordon’s and tonic drinker! 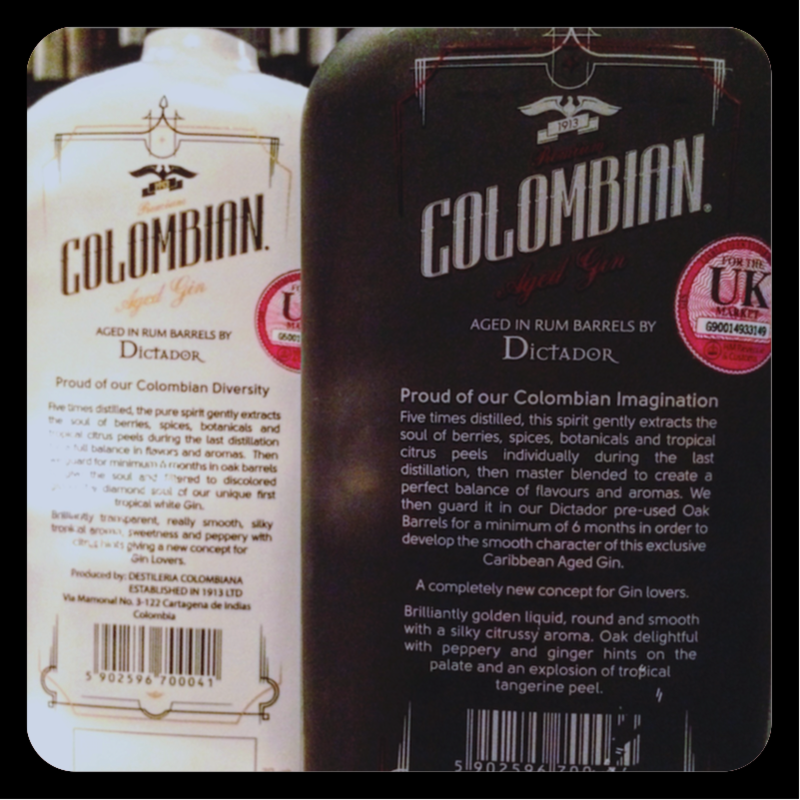 Columbian cask-aged what now??? I feel like I’m a born again gin drinker to go forth and preach the good word!